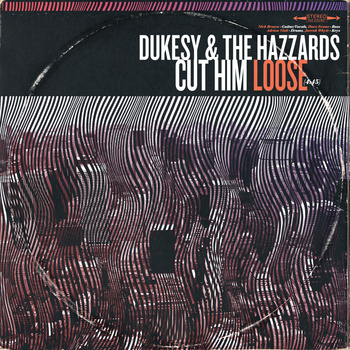 Dukesy and the Hazzards have released an EP Cut Him Loose with a nice bite-sized taste of their band. Featuring the songs “Cut Him Loose” and “Just Gotta Think”, this EP is a great example of, perfect, to-the-point jazz and blues. As soon as I turned on the record, I was comforted by the wonderful song composition, the jazzed solos and the harmonious band work. It’s reminiscent of a Louisiana Jazz Bar, kitted out in all reds and golds, something akin to “The Basement” in Circular Quay, Sydney. Written by Nick Brown, the guitar and vocals are just definitive, genuine and earthy. My favourite element, however, would have to be Jarrah White’s work on keys. The solos are well placed, the tempo is enough to jive to and Adrian Violi on Drums keeps the beat swingin’ and alive. Dave Evans on bass holds the band like glue and this just really feel-good music. Dukesy and the Hazzards are a classic band of talented guys, who’ve allowed each other the concession of working together to create a really great beat. They’ve got some down to earth tunes and the best part is, they don’t flaunt their stuff with bells and whistles; rather, they just perform for the music and this passion resonates throughout each tune. I like to listen to strange things, sounds that define the band or the singer/songwriter as unique. I esoteric tunes, I like interesting compilations and most of all, I like the feeling of being shocked, in a positive way, by a band that takes me by surprise. 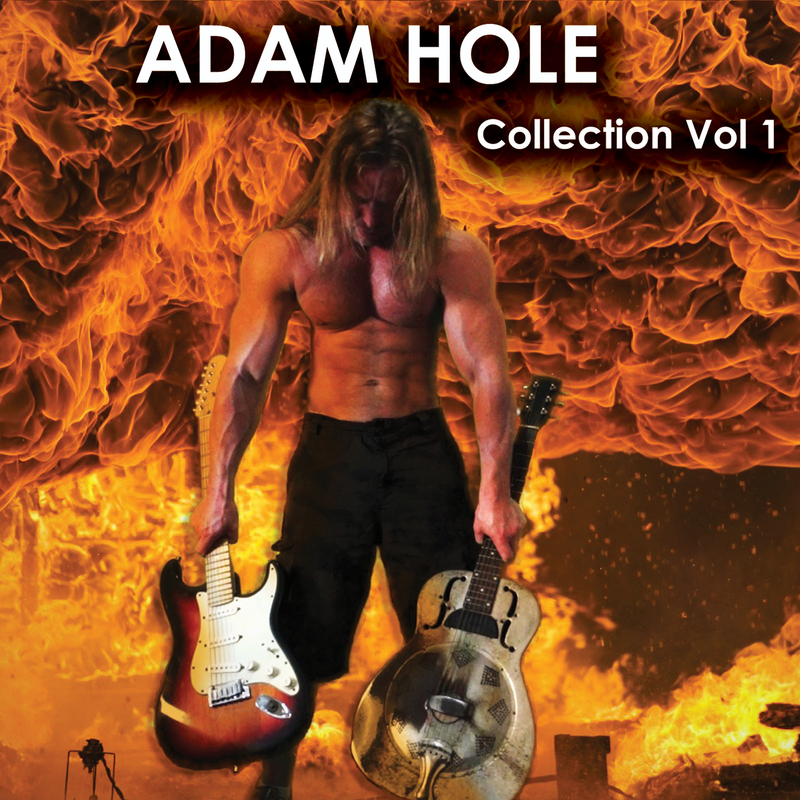 Adam Hole and his Collection Vol. 1 is definitely a record which has done just that for me. Generally, I gravitate toward whimsical folk-music, with whispers of acoustic guitar and a hint of airy-vocals. You can only imagine my reaction when handed a copy of Hole’s Collection Vol. 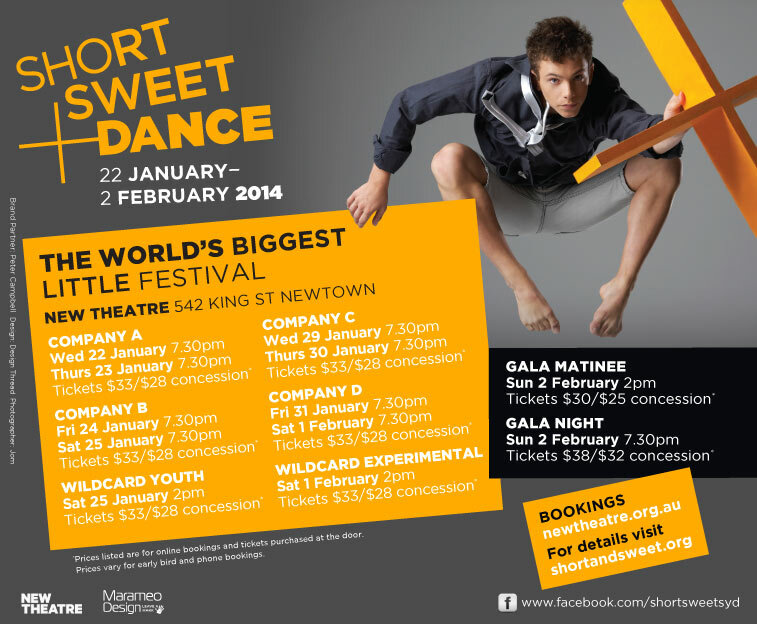 1 to check out. It’s got great explosions of fire rolling over the cover art, with a body builder lifting two electric guitars. I was a little hesitant to play the album- in fact hesitant is an understatement. Yet, to my disbelief, I found myself enjoying the first tune. “Can’t Find My Way” has some really good guitar riffs in it. The vocals aren’t crass and aren’t too husky. The drums and bass have sustained a sweet head-bangin’ beat and the keys support the verses. There’s a female vocalist who echoes with passion and power, but she’s controlled, she hasn’t gone into the metallica heights of raspy throat extremes. It seems that all the components of Hole’s composition are in moderation, rather than to excess. Therein lies his success. He hasn’t gone over the top with his electric mayhem and he hasn’t gone ape-nuts with his percussion. All his done is found a great sound and pulled it out until it blossoms, like coaxing a timid puppy out of a darkened corridor. The cover of “Spoonful” has done just that- all classic elements of blues-rock performed in enough moderation to make the sound gritty and authentic. I’m glad I turned it on, it’s the kind of music you’d have playing on a long car trip. When you hit an intersection, you turn up the volume to get the very walls of your car (and the one next to yours) vibrating with such a good bass line. Then, as you pass the parched countryside, you turn up tunes like “Gallop”; a sweet showcase of guitar talent, with no vocals, no percussion and no keys to support it. The following track is a cover and “Nobodys Fault But Mine” begins with a superb slide guitar, a blues tribute and a train-like beat. This album has everything and caters to every niche. It’s just a really wonderful bag of surprises. 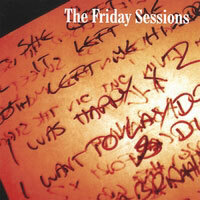 Steve Romig and Mike Kelly have produced The Friday Sessions, an album of great variation and authentic vocals. “Lonely Blues” is a sweet, seductive, slow blues kind of tune, that really exhibits control and dynamicism on the part of the songwriter. The vocals are spot-on, smooth as butterscotch vodka and just a real treat to listen to, a melancholy slide. Then, switch to tracks like “Everybody’s Got Their Way” and experience the laid back feel of a summery vibe, a vibe that is perhaps channelling a bit of Jamaica. It’s a chaotic melody of vocals and instruments that creates a feel-good happy tune. It’s a balanced composition of backing vocals, piano, percussion, slide guitar and with the right amount of scatting to warm your soul. In comparison, the opening tune of the album, “Waydown Homeless Blues” is the scene of an American countryside, somewhere in Mississippi, with cotton fields in sepia. Slide guitar, gospel backing-singers and lead vocals are just something straight out of the Coen Brother’s film O, Brother Where Art Thou? This album has music that is pure feel-good, it’s real, earthy and it’s just a solid, professional album to listen to. 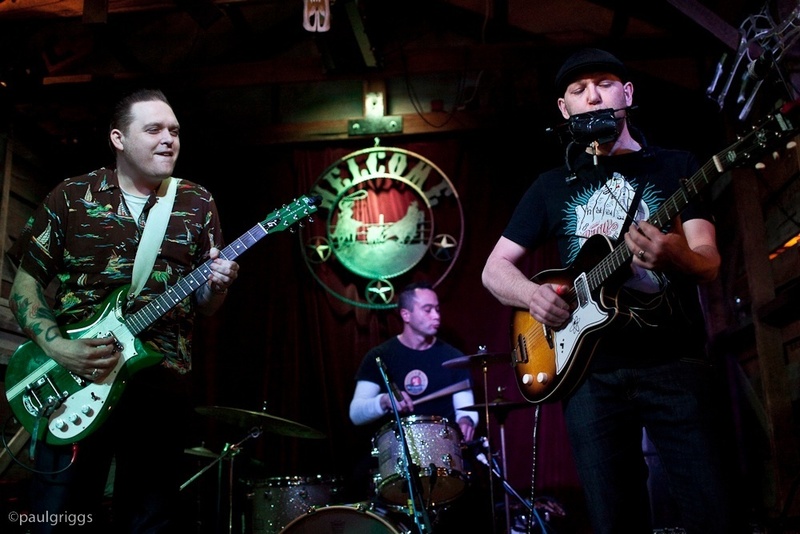 Three Kings is a Melbourne-based blues and American roots band that has blown away critics and listeners with their authentic blues sound. In their website, their bio states; “The Three Kings sound like an old 45 found in the bottom of an abandoned shed. So real you can practically hear the record crackle and the needle pop when they are onstage.” Honestly, I’d have to agree, it does sound like it’s straight from a period dance, with ruffled high-waisted skirts flying to the fresh beats pumping from the jukebox in an American Milkbar. Not that I was ever there to do that sort of thing of course. Yet, this music makes me want to go there. There’s nothing much I can say about this album. Well, nothing negative anyway. I enjoy this three-piece band and how each member flaunts his talent by supporting the band, rather than trying to stand out for the spotlight. Their solos are well-placed, really solid and actually rather impressive, especially in the tune “You Got Me Nervous”. With Benny Peters and Ian Collard on Vocals and Guitar, the tracks have a rustic air of what seems to me to be a sepia atmosphere. Their husky, rusty voices just do that for me. Ian Collard’s harmonica is an impressive sound. It just makes me want to jive, he’s got the American roots genre genuinely downpat. Jason Liusoon on drums provides the perfect support, slowing the pace or ramping it up for the pending solos. For example, “Swamp Time” is the soundtrack to a stream train as it rattles along, while “Drink It Up” speeds up the tempo a little and is just wonderful to boogie to. These guys are genuine and authentic and, I highly recommend them. 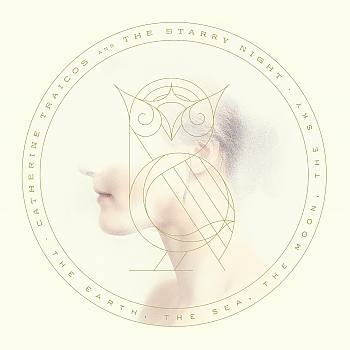 Sydney-based singer-songwriter Catherine Traicos released her album The Earth, The Sea, The Moon, The Sky in the November of 2013. In my opinion, it’s the perfect showcase of her abilities and talents, in both performing and song-writing. Her bio identifies her as a blend of alternative country, blues, roots and folk. To be honest, I don’t disagree. It’s not that each song is chock-full of homages to each genre, no. It’s that each track on her album is distinctly different from the previous, while still remaining true to her signature sound. “One By One” is a lovely, simple track which helps open and introduce the tone of the album. Catherine’s vocals are smooth, silky and slinky. She’s like a shiny black cat as it simpers the dark alleyways of Paris at midnight. The second track of her album- “All the Angels” really demonstrates this as well. I love her voice. It’s soft and non-committal, but there’s a deep passion for music. Her power comes from whispering, from breathing the words the carry the lazy tune, the tune that keeps the backing band; The Starry Night, in check. Her album shows versatility, while it also shows her. The difference between tunes like “Light in the Dark” and “Devil’s Lover” still exemplify the sheer beauty of Catherine’s voice, while the tunes demonstrate her execution of different genres. “Devil’s Lover” is a little bit smooth-jazz with balanced equalising and guitar solos to support. It’s a rather professional, well-polished track that shows dynamicism and control. In comparison, “Light in the Dark” has more of a catchy beat, a faster tempo, a difference in percussion and it sounds as if the guitar’s been amped up to a different setting. Her master plan is very clever, she uses the same instruments amplified a little differently to bring out a different genre or to draw out a different ambience. Her final track on The Earth, The Sea, The Moon, The Sky album is “A Stranger’s Lullaby” has a really nice base line. To me, her music should either be turned up to the max with good quality headphones- to really appreciate all the layers underneath her smooth voice, or as light background music to an artisan exotic furniture store with mahogany and cedar tables and carved fruit bowls and sandalwood. She’s calming and her voice is wonderful. She’s my kind of music.